Utter the “magic password” endorsing the two-state principle, and you are immediately welcomed into ‘polite society’, invited to prestigious events to expound on your “progressive perspectives” – no matter how detached from reality they may be. While there is, at best, only a slim chance for a comprehensive permanent status agreement in the foreseeable future, the conflict will eventually be resolved, and once it is, the package deal will be very similar to the Clinton Parameters, based on the principle of two states for two peoples…President Obama should present his blueprint for what a two-state solution should look like, including: an end to the conflict; boundaries based on the June 4, 1967 lines with mutually agreed-upon land swaps, notably incorporating the main settlement blocs within Israel's territory; the rehabilitation of Palestinian refugees primarily within the Palestinian state; Jewish Yerushalayim [Jerusalem] and Arab Al Quds as capitals, with a special regime in the "Historic Basin" surrounding Jerusalem's Old City guaranteeing freedom of worship; a robust security framework safeguarding Israel’s security, and a demilitarized Palestine state.- Gilead Sher, Head of Center for Applied Negotiations, Institute for National Security Studies,8 Tel Aviv, in “Obama’s Last Chance To Bring Lasting Peace To Israel”, Newsweek, December 9, 2016. This week, I had occasion to recall my rather acerbic characterization, when I encountered an article, written by Gilead Sher in “Newsweek”, urging President Barack Obama to do precisely what the democratically elected Government of Israel has urged him not to—i.e. to undertake any definitive steps in his final days in office that could predetermine the outcome of any negotiated settlement with the Palestinians. As if trapped in a perverse time-warp, he appears to yearn for the time when Israel was on the cusp of committing a catastrophic—and virtually irrevocable— error of historic dimensions of handing over vast tracts of Judea-Samaria to the murderous arch-terrorist, Yasser Arafat. With equally evident regret, Sher recalls how on January 1, 2001, Arafat flatly rejected the generous offer as completely inadequate. Indeed, readers will remember that the Palestinian response was to continue, and escalate, the ongoing violence of the “Second Intifada”, which three months later, led to the fall of the Barak government (after serving for the shortest term in the history of Israel). It is difficult (to greatly understate the case) to understand Sher’s nostalgia for what he clearly considered a lamentable “lost opportunity”. Indeed, one can only shudder with dismay at the thought of what might have transpired had Arafat, instead of rejecting the perilous Clinton proposal, opted – with malicious intent,of course –to accept it. Quite apart from the traumatic societal upheaval that would be caused by the forcible displacement (or callous abandonment) of tens (possibly hundreds) of thousands of Jewish residents living in communities across the pre-1967 lines, which would be necessary to implement the Clinton blueprint, Israel would, in all probability, be facing grim realities on many other fronts. After all, in light of events that have unfolded since 2001, there is little—if any—reason to believe that had the Clinton proposal been implemented, and Israel had evacuated much of Judea-Samaria and withdrawn the IDF, what would have been established is nothing other than yet another homophobic, misogynistic Muslim majority tyranny; a haven for radical terror groups, comprising a mega-Gaza-like entity along a 500 km front; adjacent to Israel’s most populous civilian centers, overlooking its only international airport, and abutting the major trans-Israel highway. Just why any patriotic, liberal-minded Israeli would still champion such an idea, much less bemoan its not being implemented, is beyond comprehension. Surely gratitude, rather than regret, that such a disastrous decision was avoided—even if more by good fortune than good judgement—would be a more appropriate sentiment for anyone who had the well-being of the nation at heart. 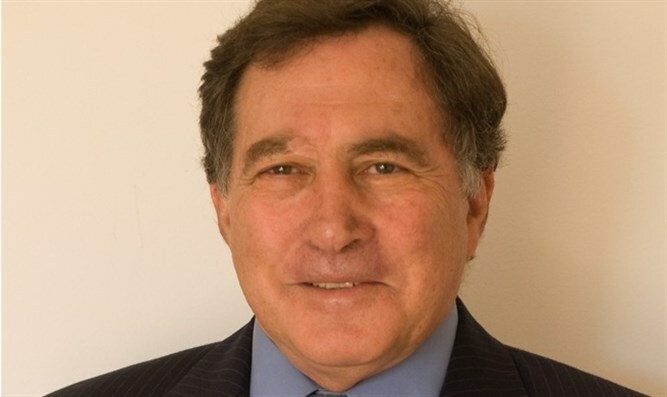 Likewise, last April, Sher co-authored an article in Foreign Affairs, entitled “The Obama Parameters: Getting Israel and Palestine to a Two-State Solution”, urging Obama to set out a blueprint for a future resolution of the conflict, essentially along the lines mentioned above, that “would replace Resolution 242 from 1967 and other recently mentioned initiatives for a UN Security Council resolution”…which is of course tantamount to urging a foreign power to impose its will on the freely elected government of his own country. Gee, I wonder if there is a word for that?!! Sadly, even Sher’s seemingly more innocuous proposals are, after a modicum of reflection, exposed as fraught with grave perils. Take for example his suggestion for “the rehabilitation of Palestinian refugees primarily within the Palestinian state”. What is the dread significance of this seemingly harmless, but hopelessly myopic prescription? Common estimates of the size of alleged Palestinian “refugee” population put the number at around 5 million—which exceeds the number of Palestinian-Arabs living in the “West Bank” and Gaza combined. Presumably, by the time any envisaged two-state outcome is remotely feasible, this number is likely to be considerably higher. So what Sher is, in fact, suggesting is, that within the framework of some two-state peace agreement, millions of Palestinian-Arabs from today’s diaspora will somehow be “rehabilitated” within the fledgling Palestinian state, probably doubling its present population—and possibly even more than that! One is thus compelled to wonder whether Sher is really blissfully oblivious of the fact that hitherto the Palestinian-Arab leadership has shown themselves spectacularly incapable of effectively managing the affairs of the current—much smaller—population. Or is he purposefully ignoring it? Sher offers no reason to believe that what occurred in the past will not reoccur in the future. Accordingly, it would be difficult to imagine any scenario more inducive to instability and violence than inundating the nascent micro-mini Palestinian state, devoid of any significant natural resources, with millions of “refugees” from the Palestinian diaspora, with little ability of the incumbent leadership to provide the necessary infrastructure, housing, sewage disposal, and employment to sustain them. The menace of this societal “tsunami”, with which Sher appears to recommend engulfing his envisaged nascent Palestinian state, is greatly magnified when the “neighbors” are taken into consideration. ...in the context of a Palestinian state in Judea-Samaria there is no need for heavy military equipment to inflict strategic damage on Israel. After all, in the East, it will border on a teetering Jordanian monarchy, menaced by ascendant Islamist elements, itself flooded by over a million refugees from Syria and elsewhere, reportedly infiltrated by countless Islamist-inspired radicals. In the South (Gaza), it will abut an increasingly jihadi-controlled Sinai. This of course leads directly to another seemingly sensible element of Sher’s prescription – that the Palestinian state be demilitarized. It is possible to devote an entire tome to elaborating on why, in the case of “Palestine”, demilitarization is little more than a misleading slogan and a dangerously seductive, but unattainable, pipe-dream. However, given current constraints, I will confine the discussion to two major issues. The first is that in the context of a Palestinian state in Judea-Samaria there is no need for heavy military equipment to inflict strategic damage on Israel. As I have written elsewhere, with the changing nature of Arab enmity, the major existential challenge to Israel’s existence as the Jewish nation-state is no longer repulsing invasion, but resisting attrition. Moreover, as the Gaza debacle starkly demonstrates, without a permanent, pervasive IDF presence there is no way of restricting the flow of armaments into the Palestinian-administered territories, or of ensuring that agreed limitations on weapons and forces will be honored. Both Hamas and Hezbollah have amply demonstrated that they can paralyze much of the country for weeks on end with rudimentary high-trajectory weaponry they have at their disposal. In addition to this overhead threat, a new underground threat, that of terror tunnels has now emerged. None of these would be affected by bans on airpower, armor or long-range artillery –which are typically the focus of demilitarization. It takes little imagination to realize that if even a fraction of the rocketry now available in Gaza were deployed in Judea-Samaria, it could well be impossible to maintain any semblance of socio-economic routine in the commercial hub of the nation. Of course, none of this raises the thorny question of possible regime-change – which can no longer be dismissed as a theoretical possibility – as the Gaza precedent shows. But setting aside the problem of the durability/efficacy of any demilitarization agreement, there are still grave issues to address – even if (indeed, especially if) it is honored. For the problems of regime-change are not confined the putative Palestinian state. They are highly pertinent to both Jordan and Egypt, where regime-change (or even regime-impotence) could precipitate catastrophic results both for Israel and “Palestine”. Thus, if hostile regimes were to arise in Jordan/Egypt, who would be responsible for protecting the demilitarized Palestinian entity from attack by external enemies? Would Palestinians be allowed to forge defense pacts with other states? If so, how would it remain demilitarized? Or will the IDF be called upon to sacrifice its troops to repel possible assaults on the demilitarized Palestinian state? In the current climate in the Mid-East, these are questions that cannot be left unaddressed—and unanswered.